Increasingly, an awareness of the power of commonly used traditional plants to prevent and even treat cancer is coming to the forefront. In fact, GreenMedInfo.com now houses one of the largest open access databases on the topic, with over 3,000 studies on the value of over 650 natural substances as chemopreventive and chemotherapeutic agents. Now, a powerful new study published in Molecular and Cellular Biochemistry provides evidence that a traditional food consumed in the tropics as vegetables — Morinda citrifolia (Noni) leaves — may be the ideal complementary therapy or functional food in the prevention or management of lung cancer. Amazingly, the study found that an extract of Noni leaf was more effective than the chemotherapy drug Erlotinib at suppressing metastasized lung cancer in an animal model. One of the most common interventions used for lung cancer today, on the chemotherapy side, is the drug Erlotinib, but the drug has never been proven safe or clinically effective in a true placebo-controlled trial. It was approved by the FDA based on its ability to improve survival a few months when added to conventional chemotherapy only relative the use of chemotherapy alone. We reported on this all too common practice of eschewing rigorous evidence-based standards with another chemotherapy drug recently: ipilimumab costs 4,000 times more than then gold by weight; at best, it only improves survival time in malignant melanoma patients by a few months; and it has deadly side effects. Read more: Deadly Chemo-Drug Costs 4,000x More Than Gold. Clearly, safer, more effective, and more affordable alternatives are needed, and this latest study could open a much needed discussion on the role of natural substances in cancer prevention and treatment. The new study, titled, “Metastasized lung cancer suppression by Morinda citrifolia (Noni) leaf compared to Erlotinib via anti-inflammatory, endogenous antioxidant responses and apoptotic gene activation,” evaluated the macro and micro effects of Noni leaves on metastatized lung cancer development in both a cell and animal model compared with the FDA-approved chemotherapy agent Erlotinib. They used two types of lung cancer cells: A549 human alveolar basal epithelial lung cancer cells and mouse Lewis lung carcinoma cells. In the cell model, the extract “inhibited the proliferation and induced apoptosis [programmed cell death] in A549 cells (IC50 = 23.47 ?g/mL) and mouse Lewis (LL2) lung carcinoma cells (IC50 = 5.50 ?g/mL) in vitro, arrested cancer cell cycle at G0/G1 phases and significantly increased caspase-3/-8 without changing caspase-9 levels. “ In essence, the Noni leaf extract effected changes consistent with what would expect in an excellent chemotherapy agent. Perhaps most notably, the Noni leaf extract exhibited no toxicity in normal MRC5 lung cells — something that chemotherapy and radiation are notoriously incapable of producing. Said less euphemistically, chemotherapy and radiation not only drive cancer into a more invasive state, but can transform non-malignant cells into a highly malignant phenotype, even inducing stem-ness, a type of cellular immortality that can spell a death sentence to those in which it is induced. The study next tested the difference between Noni leaf extract and the conventional chemotherapy agent Erlotinib in a non-small cell lung cancer (NSCLC) mouse model. The mice were fed with 150 and 300 mg/kg M. citrifolia leaf extract and compared with Erlotinib (50 mg/kg body weight) for 21 days. It should be first noted that the no-observed-adverse-effect-level (NOAEL) for Noni leaf ethanol extract is an oral intake of 1000 mg/kg, indicating that the tested dose is well below what could be used to exact the maximal therapeutic effects and outcomes. Moreover, consider that Erlotinib has been tested to cause up to 50% of a test group of rats to die of acute toxicity (LD50) at a 1,000mg-2,000 mg/kg oral dose. The implications of this research are truly profound. Erlotinib (trade name Tarceva) can cost upwards of $7,700 a month (150 mg a day), depending on the drug dose used. Ironically, since the drug doesn’t actually prolong survival effectively, the profit gravy train runs dry sooner than later because the patient dies. If indeed the drug prolonged survival a year, would it be worth the 30,000 to 90,000 it costs? Perhaps, if you could afford it. When you compare the price of Noni leaf extract, which can cost as low as 12 cents per 250 mg extract, you begin to see just how skewed our concept of value is. How could a chemotherapy agent, with deadly side effects, that can easily bankrupt a family if they are forced to pay out of pocket, be offered as the only choice to those with cancer when something that is practically free, safe, and has been proven effective in this way? Detractors and skeptics will default to the fact that this is only “preclinical,” animal research, and they will claim the results are not relevant to human physiology; at least not in a way that should inform our decisions regarding prevention or treatment. While there is truth in the sometimes chasmic gap between animal and human physiology, the billion dollar plus paywall that exists between finding a compelling lead compound for cancer and proving it effective through human clinical trials required to obtain FDA drug approval is insurmountable for a non-patentable substance like Noni. There simply would be no return on investment, and that is financial suicide, if not also a legal violation of the fiduciary responsibility a funding organization has to its shareholders. This figures largely into why animal studies like we report on here will continue to fall short on both the interest and funding necessary to prove similar results in human clinical trials. Despite this, I believe we have a spiritual and Constitutional right to bodily self-possession and the exercise of free choice when it comes to all our health decisions. The concept that we need FDA drug approval, or any other source of external permission, to consume a food or plant to prevent, mitigate or treat any disease we are suffering from, is absurd from the perspective of human rights and basic medical ethical principles. To learn more about why the FDA and law forbids the use of natural substances in medicine, read my article on the topic here. I also recently wrote an article on why the FDA will not allow turmeric, a highly compelling natural anti-cancer agent, to be used in the prevention or treatment of cancer. 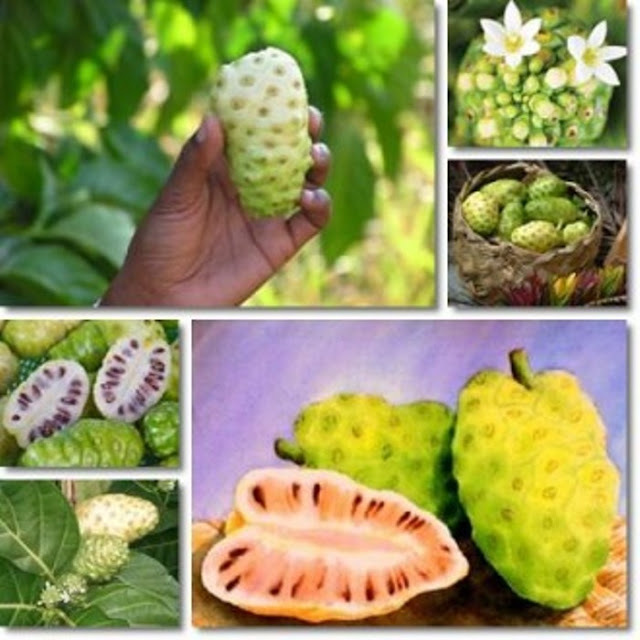 Finally, to learn more about the amazing properties of Noni, take a look at the GreenMedInfo.com database page on the topic here, where you will see research cataloged on over 50 potential health applications of this amazing traditional food and medicinal herb..